Lox without bagels. How a GF DF shiksa feeds herself, her meat-loving husband, and her cats. Stir the oil and melted butter into the oats. Spread the mixture on two baking sheets and toast for 15-20 minutes. Combine the sugar, honey, molasses, brown rice syrup, and ginger beer in a saucepan on low heat and stir until it is all nicely melted together. Add the vanilla. 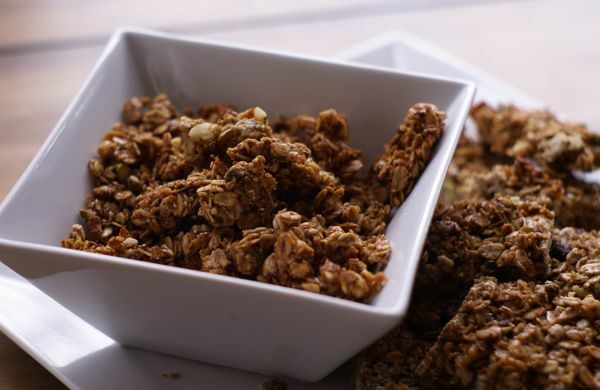 Combine all the other dry ingredients and toss together in a large bowl. Add the wet ingredients. Stir. Spread everything out onto a well-greased cookie sheet, pressing down firmly and reshaping when necessary. 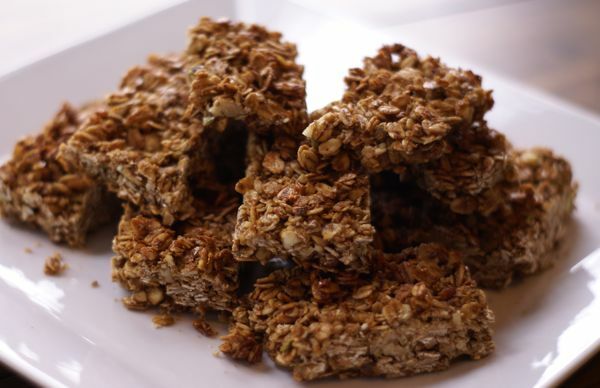 Bake for 20 minutes or until the granola is golden brown. Let it cool. Here's the fun part. 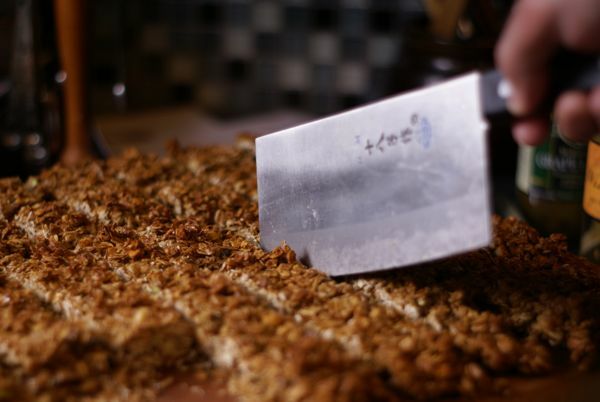 Take a large knife and cut the granola bars into whatever sizes you want. You can eat the bits that break off or save them for cereal. I did manage to save some of the leftover bits for cereal, even with all the taste-testing. More recipes-older but still good.